Are YOU Having Fun Yet?! Attention Procrastinators… ARE YOU HAVING FUN YET?! Don’t miss the chance to attend this year’s Annual GotAncestors?! 2013 Seminar with Thomas MacEntee, Genealogy Ninja. If you need a boost, new ideas, or just need to be re-energized, this program will please you. We intend to have FUN on Friday night and all day Saturday, October 11 & 12 at the Prince Conference Center in Grand Rapids. Go to http://gotancestors.com/ for complete schedule, information and registration form. Registrations will be accepted through Saturday, October 5.
a voucher that can be exchanged at his Sales booth for either an 11 x 14 color map or a genealogy wall chart. a voucher that can be exchanged at their Sales booth for a Tee Shirt. Tickets for this raffle will be $5 each. More prizes will be announced here as they are confirmed. THANKS TO EVERYONE FOR THESE GENEROUS GIFTS. Remember – you can’t win if you’re not going to be there!!! Online registration for Got Ancestors?! Are You Having Fun Yet?! is now available. If you register before 23 September it’s only $59 for both Friday evening and all day Saturday including light desserts on Friday evening, and lunch and snacks on Saturday. Click here to open the online registration form to complete your registration online. We’e chosen a great lineup of topics for this year’s Got Ancestors?! Are You Having Fun Yet?! seminar. Blog Your Ancestors: Read ’Em, Write ’Em, Find ’Em! 10 Ways to Jumpstart Your Genealogy: Energize your research and be ready to hit the ground running. Full details are available on the schedule page here. We’re excited to announce that the Speaker at this year’s Got Ancestors?! 2013 will be Thomas MacEntee from Chicago. Thomas is a genealogy professional specializing in the use of technology and social media to improve genealogy research and as a way to connect with others in the family history community. When he’s not busy writing blog posts, organizing the 3,000+ members of GeneaBloggers, teaching online genealogy webinars and more, Thomas MacEntee is busy in his role as “genealogy ninja.” Stealth is not easy, but he manages to get the inside track on emerging technologies and vendors as they relate to the genealogy industry. 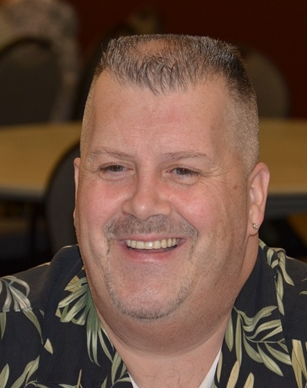 After being laid off from a 25-year career in the tech industry in 2008, Thomas has been able to “repurpose” his skill set for the genealogy community and loves to see other genealogists succeed, whether it is with their own research or building their own careers in the field. Keep watching this site for updates as we plan the schedule of talks we’ll hear Thomas give us on Friday evening and Saturday. We’re working on plans for this year’s Got Ancestors?! Seminar. It will be on 11-12 October 2013 at the Prince Conference Center. Mark this date on your calendar to ensure nothing else gets booked for this date. Further details will be announced here as they become available.